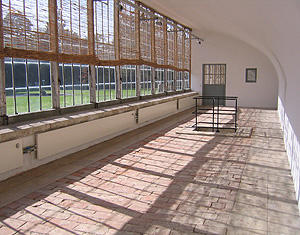 Award procedure for exhibitions: The application period for an art exhibition in the Geranienhaus starts on 1 July and ends on 8 July of the calendar year preceding the planned exhibition. The available time slots (min. 3 days to max. 6 days per exhibitor) will be allocated by lot. Please send your application either by e-mail or by post to the above address. Applications received outside the application window will unfortunately not be considered.